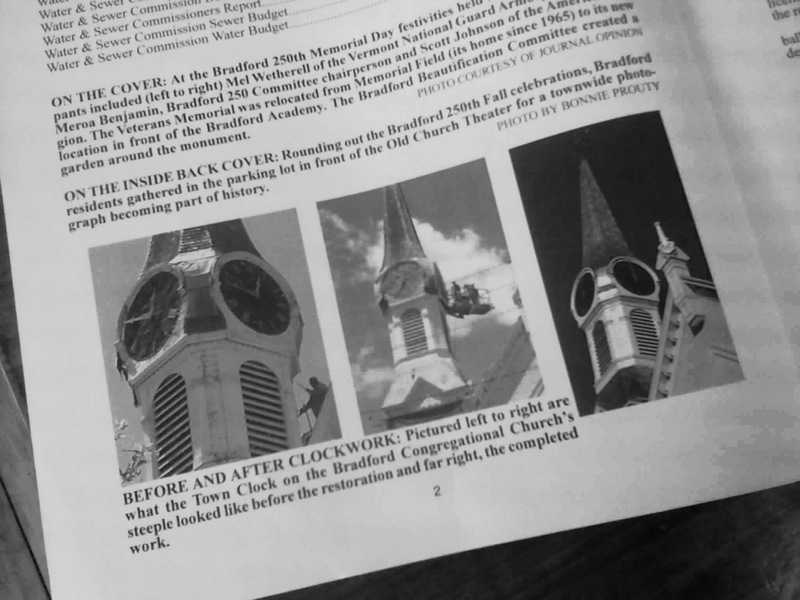 Have you seen Bradford’s Town Report? It’s dedicated this year to our own Joe Button, Chair of the church’s Board of Trustees! 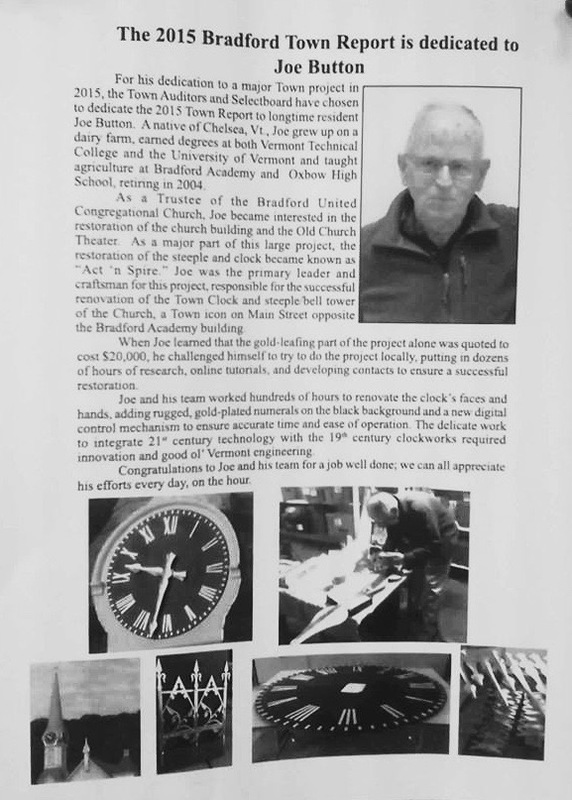 It is a very well-deserved recognition for his tireless effort and work on the church tower housing the town clock.